What's the biggest Saturday question people ask? The first stop on my tailgating list was the obvious for most college kids in Lincoln. Barry's roof top of course. 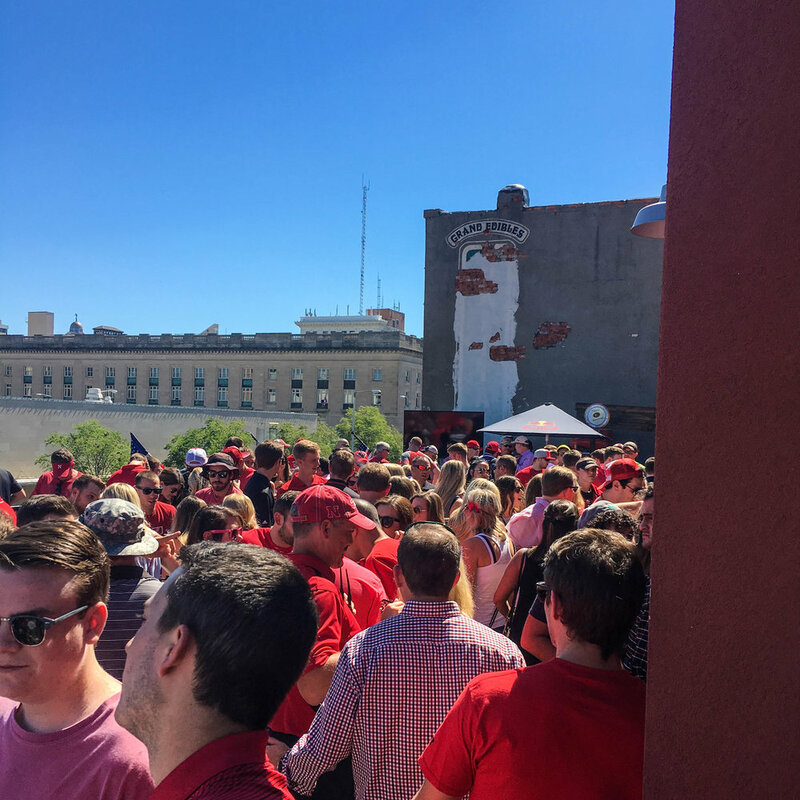 Barry's is known for their roof top on game days, and if you don't know that well you've been living under a rock. But hey, that's okay cause I'm here to share with you that it is most definitely a go to! Not only do they have an amazing roof top, that's always packed especially when the weather is nice (which isn't always the case and it's still packed) they also have two bars downstairs, and then a huge basement <10 Below> with just about anything you can ask for. A bar, bottle service, food, air conditioning...need i say more? They also offer breakfast on early games, t shirts and great service. Moral of the story, if you haven't been to Barry's on a football Saturday you better make sure to check it out. Shots on me! Jk. But seriously ill see you there. 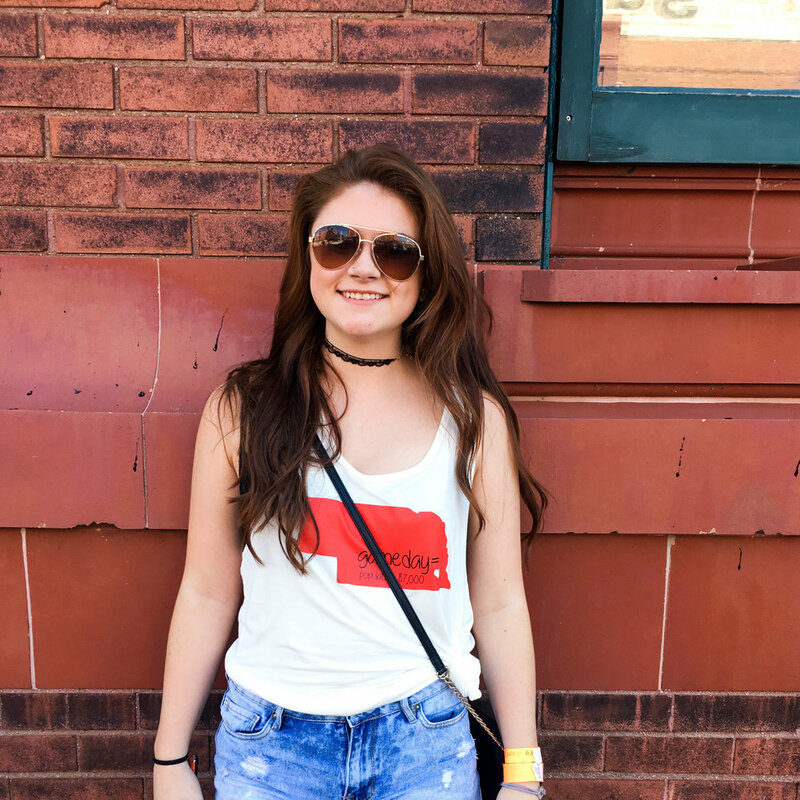 Don't forget to rock some Be yourself Husker apparel, I will be out and about and you and your friends can be featured next!